This recipe was inspired by a recipe from the Estonian cookbook, Sepamaa Talu köök Osa 2 by Anni Arno. Marzipan is very popular in Estonia. You can buy delicious bars of Estonian made marzipan at every corner store. Here in NYC, I bought the marzipan from Kalustyan’s. The original recipe used rhubarb, which is also popular in Estonia. 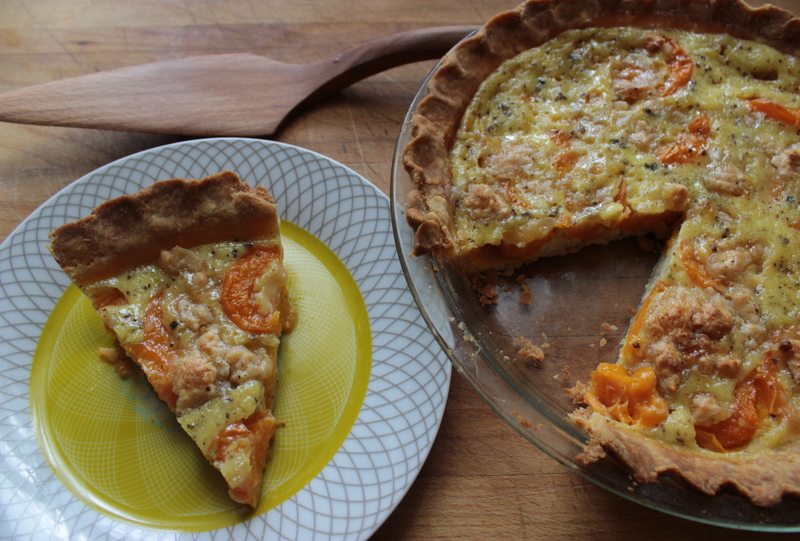 Goodness knows that I love rhubarb, but when I ate the rhubarb tart I kept imagining how good it would be with apricots. 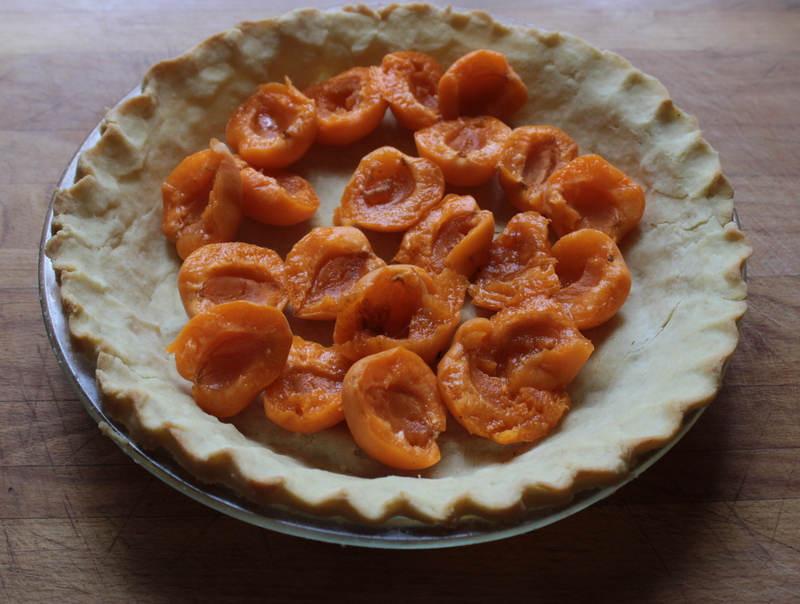 Halve the apricots and remove the pits. Place them in the pre-baked pie crust. Crumble the marzipan over the apricots. Whisk the heavy cream, egg, egg yolks, sugar, cinnamon and vanilla together and pour it over the apricots and marzipan. bake tart 40 minutes at 350 degrees or until the center is barely set. from Gluten-Free Baking Classics by Annalise Roberts. This will make enough for two of these crusts (or one of these crusts and a quiche crust, or almost any other single crust pie or tart on this blog). Just keep the extra for next time! Cut the butter in to the dry ingredients and use your fingers to combine until it has the consistency of course cornmeal. In a small bowl, whisk the eggs and lemon juice together. Add the egg and lemon mixture to the flour and butter, and combine into a ball. Measure out two 12 inch sheets of wax paper. Roll the dough out between two sheets of wax paper. Remove one of the sheets of wax paper and flip the dough into the tart tin. Remove the second sheet of wax paper and press the dough in to the tart tin using your fingers to repair any cracks. Pinch the edges into a fluted shape. If your kitchen is hot, put the crust in the fridge for 10 minutes to cool the dough. Pre-bake the crust for 18 minutes.